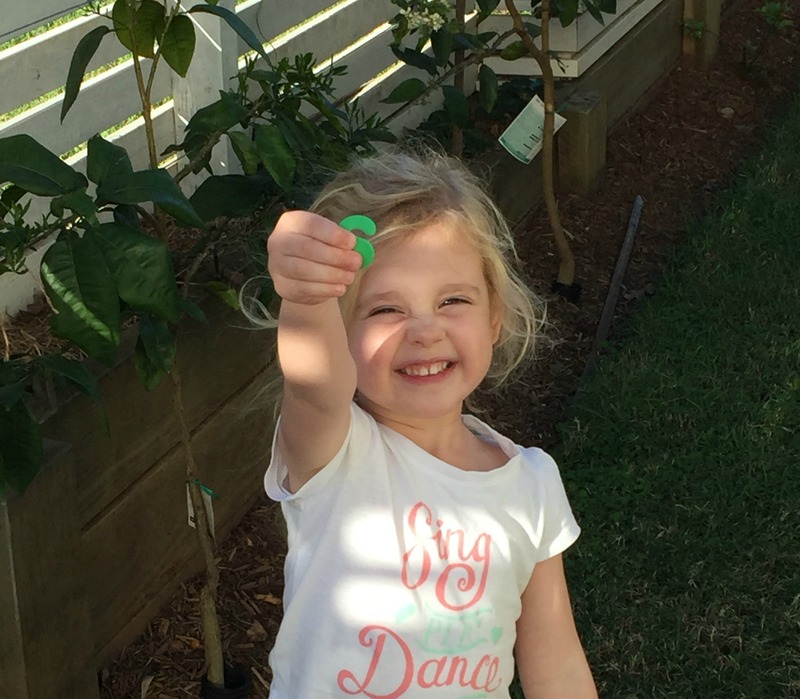 From the age of three, my eldest daughter had a hunger to learn her ABCs. She begged me to do Reading Eggs with her and thought me quizzing her with alphabet flashcards on a nightly basis was a special treat before bed. Bless her. She listened intently and lapped up everything I taught her. And then came along little sister. When she turned three, I attempted to teach her the alphabet in the same way I’d taught her sister. She’d shown a mild interest in learning the letters of her name, so I thought she was ready. She may have been ready, but not for the same methods I’d used for her sister. She would not sit still for flash cards and as for Reading Eggs, I couldn’t even get her near the computer. Our second daughter is high-spirited, stubborn and gets bored easily. If she doesn’t want to do something, no amount of cajoling or bribery will change her mind. I told myself she’d learn when she was ready. Almost a year later, we’ve made limited progress. I wasn’t too concerned until a recent parent / teacher interview at day care, where we discovered her knowledge of the alphabet was below what it should be. It occurred to me that our almost four-year-old may never be ready to sit down and do Reading Eggs or flashcards like her sister. (D’uh, it only took me a year to realise this!) I needed to think out of the box, be creative and stimulate her mind in other ways. These fun ways to help your kids learn the alphabet have been absolute winners with our almost four-year-old. We’re thrilled to see her making progress and she thinks she’s pretty clever too. Hide letters of the alphabet in a large container of rice. 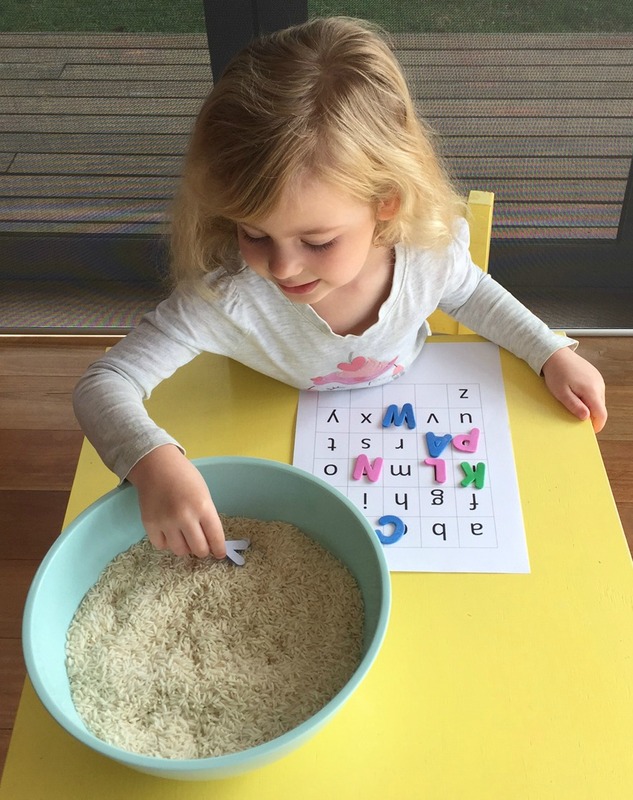 Your child needs to dig deep in the rice to pull out a letter. Ask your child to call out the letter when they find one and place it down on the corresponding letter on a sheet of paper. I used uppercase letters in the rice and lowercase letters on a sheet of paper to make this game trickier. Not only did she have to recognise the upper case letter, but she had to find its lowercase partner on the sheet of paper. You could try this game with numbers or shapes and you could even hide the letters under bubbles if your child loves water play. I nabbed this idea from my daughter’s Prep class and both girls think it’s fun. 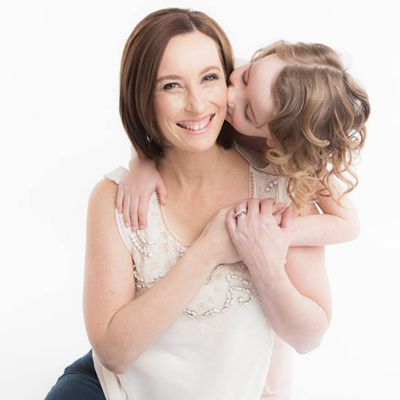 Give your child a giant flash card to copy or simply write down a letter for them to follow. Help your child shape the letter with play dough. You could start with the first letter of their name and build up to shaping their whole name with play dough. I found the ABC cup game at Playdough to Plato and its become a firm favourite with my girls. Grab four cups, or as many as you like, and attach a letter to the front of each cup. Ask your child to close their eyes as you hide something under one of the cups. We used a sparkly ball, but you could hide any of their little toys or a treat, anything that will give them a surprise and put a smile on their dial. You can turn this into a fun circus or sideshow alley game to build excitement. Once you’ve hidden something under a cup, ask your child to open their eyes and guess which cup you’ve hidden it under. Ask your child to say the name of the letter on the cup before you reveal what is underneath. 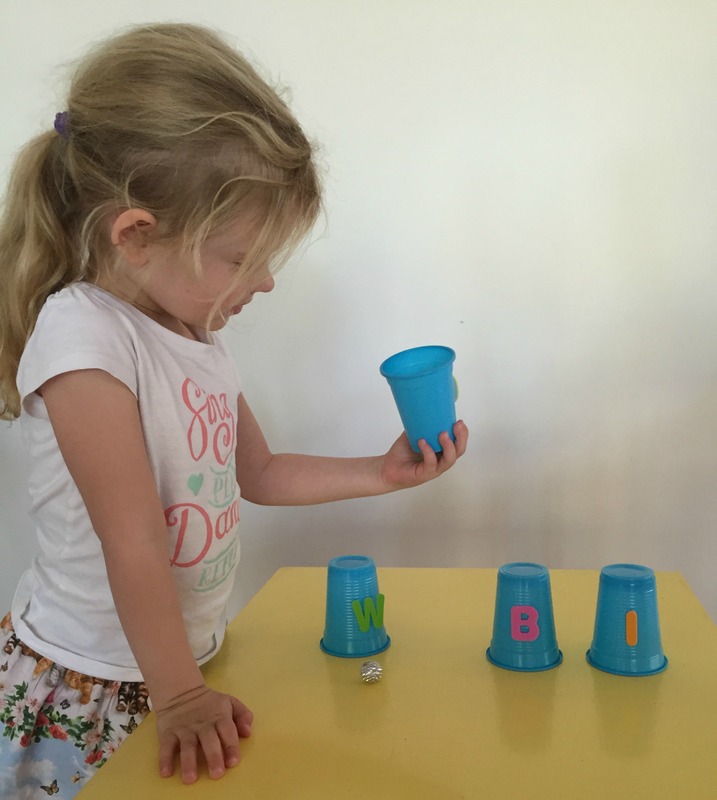 An alternative to this game is to ask your child to pick up the cup that makes an ‘Sssss’ sound, for example, to get them familiar with letter sounds. This game is just like an Easter Egg hunt, but without the chocolate! 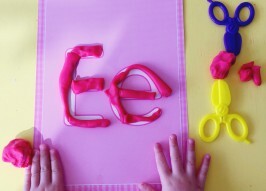 It’s a beautifully simple yet fun way for kids to learn the alphabet. Hide letters in your garden or inside your house and encourage your child to say the name of the letter when they find it. To make the game more advanced, you can ask your child to make the sound of the letter also. I used brightly coloured foam letters to make them stand out among the greenery in our garden. Ask your child’s siblings to join in for some friendly competition. This activity is great for kids who love art and craft. Print out or draw giant letters and ask your kid to colour in or decorate them. You can even do this ‘on theme’. For example, if you choose the letter W, you could supply all ‘W’ things to decorate the letter – bits of wool, strips of washi tape, etc.